Federal Finance Minister Bill Morneau. But Morneau told a gathering in New York on Monday he had no insight into when that might happen. 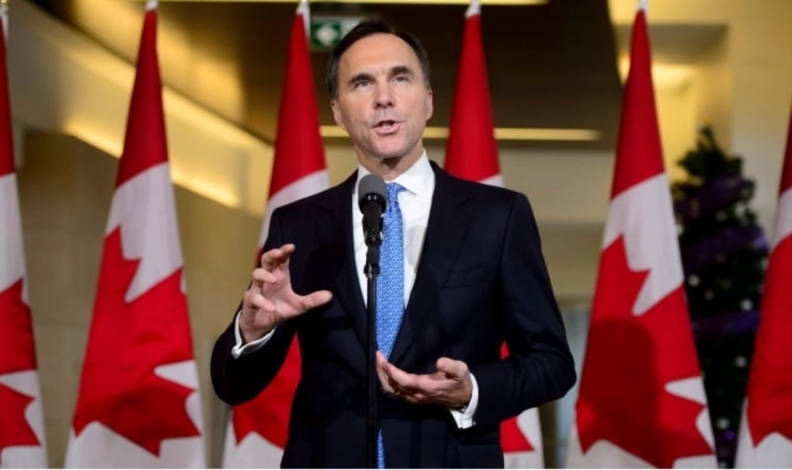 And the finance minister said he has a "high level of confidence" that the new pact negotiated to replace NAFTA will be ratified by all three countries involved. He said it's clear U.S. lawmakers are in the first stages of negotiations toward ratifying the U.S.-Mexico-Canada Agreement, known as USMCA. "We take everything seriously," Morneau said when asked whether he took the president's comments at face value. "While we'll have to watch and ensure we get through this next stage, we have a high level of confidence that's achievable."